Daniel is author of four books, including Chicano Chicanery, Unending Rooms and the novel, and the shadows took him. 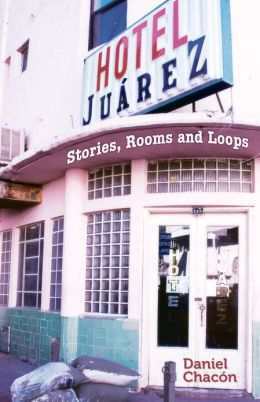 His latest book Hotel Juárez: Stories, Rooms and Loops was released with great reviews. Chacón was awarded the Isherwood Foundation Grant, the American Book Award, and the Hudson Prize. 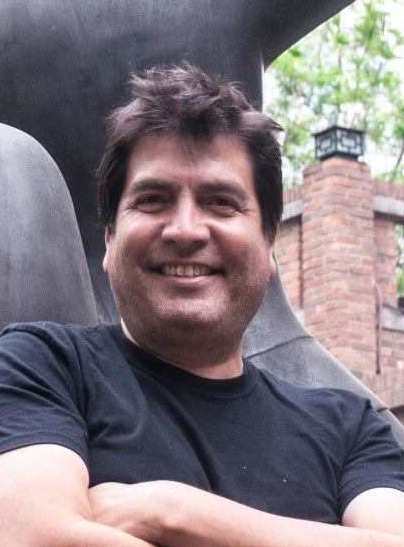 He is a professor in the bilingual MFA in Creative Writing Program at the University of Texas at El Paso, on the border of Mexico and the US, where he teaches courses in Borges, Kafka, Physics as Metaphor, and Fiction Writing. He is co-host of Words on a Wire, a talk radio show about books on KTEP, El Paso. His next writing projects include TV and short film. Click here to go Daniel's books. Chacón has lived a crazy life and always sought adventure and experience. When he sold his first novel to a New York press, he took off to live in Buenos Aires for a year. In that city of ten million people, he wrote his next book and became a wine aficionado. He has traveled to France, Spain, China, Singapore, Cuba, Poland, Switzerland and many other places. Chacón talks about how growing up in the barrio taught him how to read people and to sense danger, survival skills that can be used anywhere in the world. He shares adventures on nighttime streets of Mexico City, Warsaw, Buenos Aires, Bangkok, and the other great cities…walking through Marseilles, the second biggest city in France, at one in the morning, looking for a place to stay the night. Some of the stories are remarkable examples of the magic in the world, if you only pay attention. All of them are inspiring. It's about a boy from a working class Chicano family becoming a successful author and world traveler. Includes readings from Chacón’s relevant books and is usually followed by a book signing. When he enrolled in a new predominately white Fresno CA high school, Chacón was wrongly placed in remedial English. Three weeks later, when his test scores arrived and showed he was in the top five percent of the school, he was immediately told to transfer to an advanced English class, the highest you could take. The only problem: the class was already too full. Instead, Chacón remained in the remedial English class at his own private table. He spent the rest of the year doing serious work, writing compositions, stories, reviews, all under the guidance of teacher who believed in him and knew he could make it. Can the metaphors of quantum physics and cosmology influence the creative process? Sometimes we think of science and creativity as opposed, but as Chacón guides us to Einstein and others, and converts quantum mechanics to metaphor, we see that imagination has always coincided with the advancement of science. The reverse is also true. Science has influenced the creative thought of writers, artists, musicians. Chacón examines how the major metaphors of physics can be applied to the creative process. Whether it's writing a story or painting a picture, looking at such topics as relativity, the uncertainty principle, and parallel universes play a significant role. Chacón reads a few of his own stories, and then discusses the imaginative physics that brought him to these stories in the first place. Usually followed by a book signing. How does a writer write? Chacón uses his stories to illustrate and then discuss the process. He begins with the initial story idea or “inspiration”, through the final draft, the editing and then the publication. He examines issues such as characterization, theme, plot, language, setting, and how they all work together to create the experience of fiction. Chacón also discusses the difference between metaphor and the field of metaphorical possibility. He blends mysticism, Kabala, physics and the ability all artists must cultivate, the art of doing nothing. Chacón talks about Latino/a literature, from the early days of protest art to today’s masters of the written word. Using examples culled from relevant authors, he reviews events in US Latino history, including the Chicano movement, Latino journals and presses, and the rise of digital media. Chacón reads from his current work (or the work of your choice) and take questions afterward. Followed by a book signing. William Molina feels good that he is the first Hispanic-American to be promoted to management as a dispatcher in Fresno and shocks his wife Rachel, his teenage daughter Vero , and his two sons teen Billy and preadolescent Joey by taking them to dinner. The family has never been to a waitress based restaurant where a person serves the meal. Not long after that William knows he has obtained the American dream as he relocates to Oregon as a middle class worker. However, Joey also realizes that leaving impoverished Fresno did not remove the stereotype label of Latino gang member. While Joey performs at his new school in the role of punk hood, William struggles with the darker side of the American dream that he finds lacks substance. Already known for his temper though he always controlled his fists, his anger may break his family apart if he does not learn to control his growing wrath. From Mexico City to “Aztlán, Oregon,” in bittersweet comic fables and through tales of frightening realism, Daniel Chacón captures the shrewd, furtive, and sometimes torturous ways by which Mexican-Americans manage to survive in intimidating territory–often only to trip themselves up. Chacón’s Chicano Chicanery presents a baker’s dozen of short stories featuring switched identities (in both Mexico and the United States); an involuntary gang initiation; men’s betrayals of their friends and of themselves; and some slippery exploits at the law office and in the chicken-packing factory.